Civility evaporated in 2016, didn’t it? Marv KnoxEven if you’ve been around a long time, you probably can’t recall a meaner, more coarse and nasty election season. Words and phrases quarantined to narrow-interest call-in radio the past quarter-century seeped into the general media and morphed into our national conversation. Whoever dreamed we’d hear presidential contenders engage in loud-mouthed sexual/biological innuendo typically confined to locker rooms? 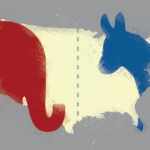 Besides sorting through party platforms and candidates’ stands on issues, thoughtful voters contended this year with issues of presidential temperament and stability. Unfortunately, this problem will extend far beyond Election Day. Here’s the broader, long-lasting issue: Disrespect is the root of our national incivility. We live in a society in which disrespect for others has become the normal train of thought. Various factors—from behavior, to demographics, to politics, to social media—caused disrespect to escalate. But at root, the issue is straightforward: If people respected each other, they would behave civilly. We don’t have much space to grapple with such a broad-based and damning problem, but let’s explore the principles and practices for restoring civility. 1. All people are created in God’s image. God deserves our respect. Therefore, all people are worthy of respect. That includes people of different races and religions and with different political perspectives. Jesus taught us to respect others and treat them lovingly. In the second half of the Great Commandment, he told us, “Love your neighbor as yourself” (Luke 10:27). Then he told the story of the Good Samaritan, to make sure we understand the definition of “neighbor” includes folks we think of as mortal enemies. The Muslim is the neighbor to the Baptist. The African-American is the neighbor to the Latino is the neighbor to the Anglo. 2. Christians and other people of goodwill can, and often do, occupy both sides of an issue. In fact, they often hold their political perspectives precisely because of how they read the Bible. It’s paradoxical, but faithful people cancel each others’ votes. That’s why heaven will be populated by Democrats as well as Republicans and Independents and Greens and even people whose political stripes twist our minds. 3. Communication, even political speech, is not a zero-sum game. Communication does not require winners and losers. Contrary to popular opinion, the purpose of communication is achieving clarity and mutual understanding. It’s not decimating the opposition. Popular media, political debates and other venues of public discussion tend to reinforce the idea discussions must have winners and losers. This follows the erroneous logic that reasonable, or faithful, or intelligent people can only take one side of an issue. This leads us down dark alleys of conflict. But when conflicted communication produces heat rather than light, participants wind up burned and in the dark. First, deal with others as Jesus would deal with them. Second, within that context, reach clear understanding. 1. Don’t be afraid of differences of opinion. Many people, especially Christians, run away from differences. They feel threatened. They think disagreement equals anger. They worry they won’t be able to maintain relationships if they disagree. But while unity is splendid, uniformity is unrealistic and often unhelpful. Differences of opinion reflect vibrant diversity. Differences of opinion help us grow. So, don’t be scared of differences of opinion. Since we’re all created in God’s image, then individually, we can rest comfortably in humility—with all its blessedness and cussedness—and so we can afford to be humble with each other. Plus, humility is like fertilizer to discussion. It enriches the trust and sense of security that enable conversation to flourish. Above all, seek to learn, not merely to be heard. Focus on the other person, holding her in the front of your attention. While the other person is talking, don’t mentally prepare your counter-attack. Follow along, keeping track of details and trying to comprehend the other’s points. Keep your hand off the buzzer—don’t interrupt. Suspend your own agenda in favor of the other’s purpose. And when it’s time to be heard, try to be understood, not to “win” the argument. 4. Above all, follow Jesus’ mandate: Love your enemies; pray for those who persecute you (Matthew 5:43-45). A version of this editorial first appeared in the Fall 2016 edition of CommonCall: The Baptist Standard magazine.